Need to get your VW Golf / GTI / Jetta III low? ST coilovers for VW Golf / GTI / Jetta III feature a continuous thread construction for height adjustment from moderate to eXtreme! Each coilover is manufactured by KW automotive's expertise and capabilities ensures maximum quality and fantastic driving dynamics. 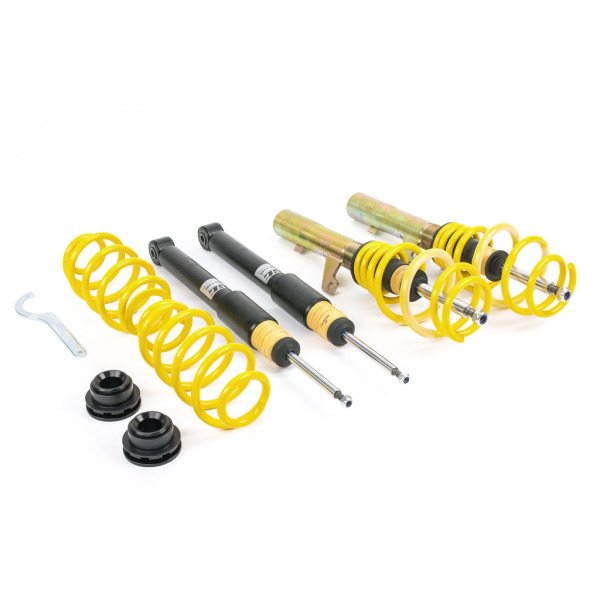 ,br> Once installed, the ST X coilover can easily be adjusted using a polyamide ring on the galvanized, multiple-sealed strut. Adjustment is different for each car, but typically you can expect between 35 and 65mm of lowering on both the front and rear axles. 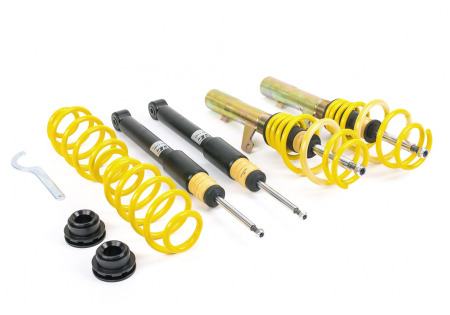 For lowered cars as standard (such as the BMW E9x 3-series) the ST X coilover features a range of 30 to 60mm (front axle) and 25-55mm (rear axle).